Those of you who have been using the Internet since its “Stone Age” days probably remember using a search engine called Alta Vista at some point during your online life. Back in the day, if you wanted to find something on the web, you more or less had two viable options: Yahoo or Alta Vista. 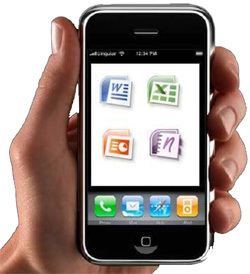 As one would expect, Windows phone users have been able to run Microsoft Office (Word, Excel, Outlook and PowerPoint) on their phones for some time now, but iPhone users who wanted to do the same were left out in the cold. But that has now changed. Yahoo has just announced that come mid-July, all Yahoo accounts that haven’t been logged into within the past 12 months will be shut down, any data contained within those accounts will be deleted, and the account IDs (i.e. usernames) will be made available to other users. Would you buy a full-size PC running Android? Android smart phones and tablets are selling like there’s no tomorrow, and more people are switching from iPhones to Android phones than the other way around. This means that Android based devices are extremely popular, and apparently getting more so all time. The “Windows 8 End User Training Brochure” is actually a pretty decent guide to learning the basics of Windows 8, and you can download the PDF file from this page on the Microsoft website for free. Microsoft stopped providing printed user manuals with their boxed software years ago, and this free guide is certainly no substitute for one. That being said, I still believe it’s a useful download (and you can’t beat the price). It’ll help you get started navigating your way around Windows 8 and performing the most basic tasks. If you use Windows 8 it’s definitely worth a look!